The British charity Alcohol Concern has published a new report which concludes that alcohol industry campaigns for ‘responsible drinking’ have little effect, and may even be counterproductive. The report, written by researchers from Glyndwr and Bangor Universities suggests that rather than focusing on responsible drinking campaigns, it’s more effective to make alcohol more expensive and less easily available, to reduce alcohol consumption and alcohol-related harm. The report was launched on the the joint Alcohol Concern and ASH Wales conference Tobacco and alcohol: learning from each other in Cardiff on, Wednesday 12 October. The report states that alcohol industry health messages are often ambiguous and lack clarity over safe behavior with regards to alcohol. Also noted in the report is that health messages are typically found in the context of adverts that promote drinking as a positive lifestyle choice. In the report it is also pointed out that alcohol industry-supported statements and campaigns usually portray alcohol as a neutral product that only causes problems in the hands of irresponsible consumers. The evidence however, suggests that alcohol is an intrinsically dangerous substance, and that alcohol marketing and distribution require careful regulation and management. In a press release about the new report Rob Poole, Professor of Mental Health at Glyndwr University ,said: “There are some consistent key findings from modern international research on reducing the harm caused by alcohol. In particular, the most effective measures are increasing price and reducing availability. 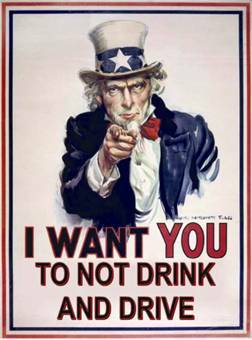 There is really no convincing evidence that responsible drinking campaigns have any positive impact at all.